This design has an open pocket design with no fold over or flap and is The card is 6 1/4" x 6 1/4". Answer: This will fit inside the Square 6 1/2" Envelopes perfectly. 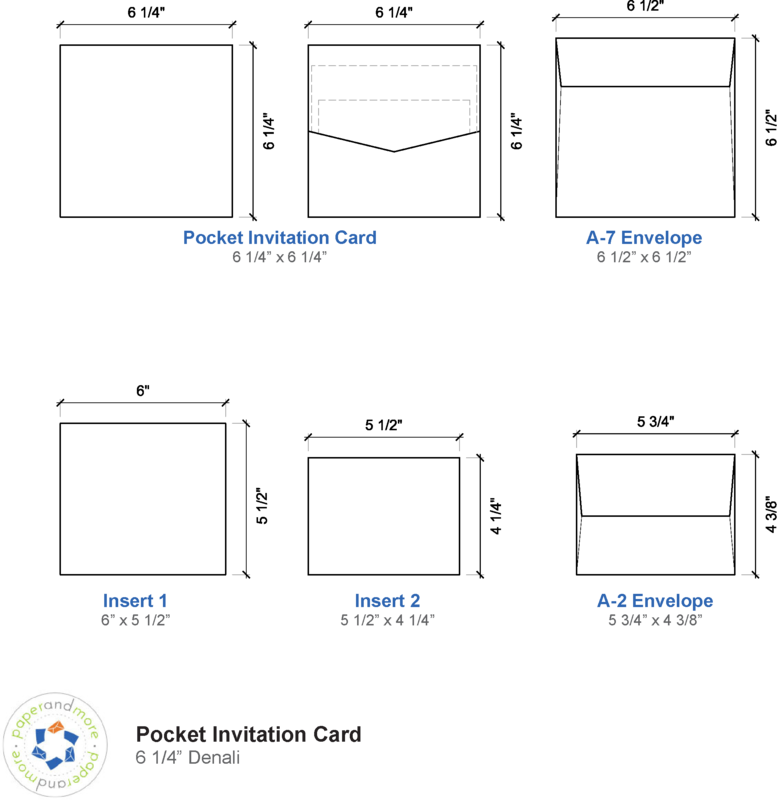 The Pocket Card is 6 1/4" x 6 1/4".